Saturday, October 12, 2018 at 9:00 A.M.
Join us for the Gem City Classic 15K, family fun 5K, and Kids’ 1K Fun Run on October 12th at Tech Town in Downtown Dayton! 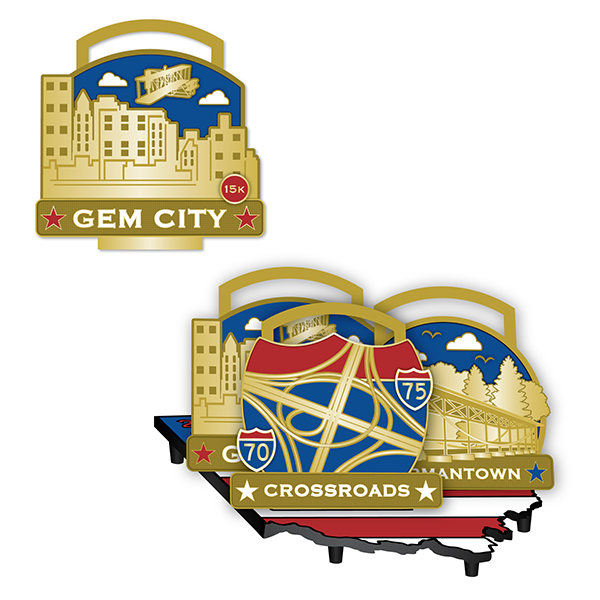 Gorgeous finisher medal (if you have completed the Crossroads 5K and Historic Germantown 8K your medal will connect to the others via a beautiful Ohio shaped medallion! Fast race course that cruises alongside the river into downtown before heading back to the park. The final step in earning the coveted fourth medal in the Miami Valley Race Series to complete the shape of Ohio! Friday – October 11th, 4:00 p.m. – 8:00 p.m. @ New Balance Dayton, 304 E Stroop Rd, Dayton, OH. Our races are the only ones produced by an RRCA Certified Race Director in the Miami Valley. 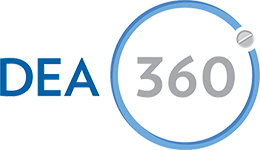 We strive to produce professional events and act ethically and transparently as is required of all RRCA Certified Race Directors. 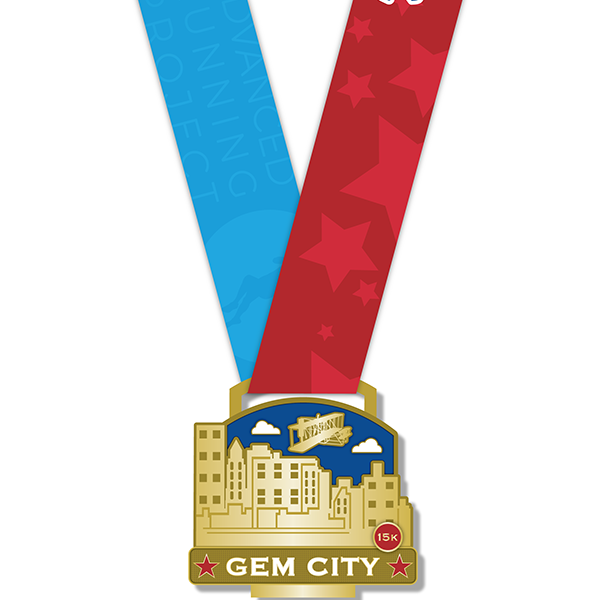 What events will the 2019 Gem City Classic 15K presented by New Balance Dayton offer? How do I register my child for the 1K Kids' Run presented by Dayton Children's Hospital? What is the age limit on the 1K Kids' Run presented by Dayton Children's Hospital? What is the address of the event venue for parking and the race start/finish? 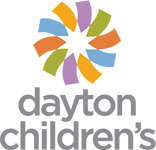 The Gem City Classic 15K presented by New Balance Dayton is comprised of a 15K, family fun 5K, and 1K Kids’ Fun Run presented by Dayton Children’s Hospital. All events will take place on Saturday 12 October 2019. 1K Kid’s Fun Run – 8:30 a.m.
15K Run – 9:00 a.m.
5K Run – 9:30 a.m.
USATF Certified and fast race course that that zooms down the streets into downtown before heading back to the park. Completing the Miami Valley Race Series and earning that fourth medal!!! Children can be registered on the registration site or at packet pickup. The series is comprised of three races which inclues the Crossroads 5K in Vandalia on June 8th, the Historic Germantown 8K in Germantown on August 3rd, and the Gem City Classic 15K in Downtown Dayton on October 12th. Runners who complete all three races in the series will earn a beautiful Ohio shaped medallion that connects to the first three medals to create a beautiful piece of art to display to friends and family! While there are not overall awards for the series, total times will be calculated and placed into the final results at the conclusion of the series. All events are walker-friendly. With a 9:00 a.m. start, the 15K course has a maximum course time of roughly 2.5 hours or until 9:35 a.m. The 5K has a 2 hour cutoff.. Any runner/walker that fails to maintain the minimum pace will be asked to move onto the sidewalks to facilitate opening the roads on time. The Finish Line will officially close at 11:35 a.m. There will be two packet pickups! Friday October 11th from 4:00 to 8:00 PM at New Balance Dayton – 304 East Stroop Rd, Dayton, Ohio. 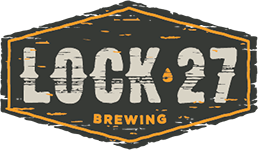 Saturday October 12th packet pickup will be located in front of the Dayton Children’s Hospital building at Tech Town at 241 Taylor St, Dayton, OH 45402 from 7:30 a.m. until 9:00 a.m. EST. You may pick up someone else’s packet only if you bring their proof of registration with you to packet pickup. Absolutely! One can register online until the race begins even on your phone. Or you can register on one of our computers from 7:30 a.m. to 8:50 a.m. on Saturday the 12th of October at the 241 Taylor St, Dayton, OH 45402 (Dayton Children’s Hospital building at Tech Town Dayton). The Gem City Classic has partnered with Speedy Feet, the leading event timer in southwest Ohio to provide chip timing. Runners will have a disposable timing chip on the backside of their bib and will not have to do anything in order to get 100% accurate results! On average, at 5 PM in mid October one should expect temperatures in the low to mid 60s and moderate humidity. However these are merely averages and weather can change any given day, especially given an evening race. We will update participants on what to expect in the 48 hour window before the race. This USATF Certified 5K is fast. The race begins at Tech Town before heading by 2nd Street Market. The race proceeds onto Webster St and passed Deeds Point MetroPark. Runners u-turn at the Kettering Fields and return to Tech Town. The course is incredibly flat and prime for a personal record performance! The USATF Certified 15K is also fast! It shares the first mile of the 5K before doing a 6 mile section along the river path. Outside of two very small uphills where the run exits the river trail, the course is blazing fast. Check out the course map for an in-depth look of the route and elevation profile! Yes! The 5K has a water stop at the turnaround and the 15K has 4 water stops spread throughout the course. 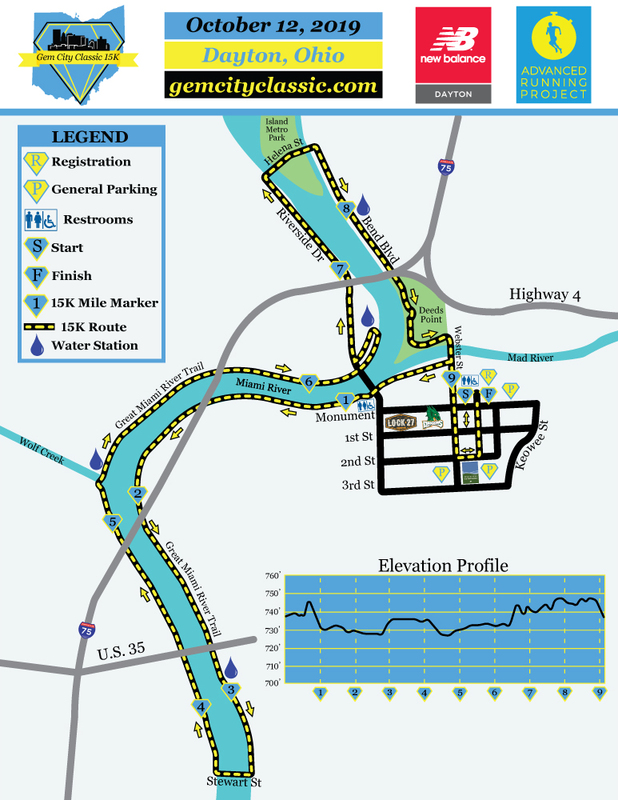 Water stop locations are shown on the course maps. All runners in both the 5K and 15K will receive a beautiful finisher medal with a custom ribbon designed by Ashworth Awards. We aren’t leaving out the children either, every kid who finishes the kids runs will receive a finisher medal too! Runners in the 15K who place top 3 overall, top 3 in the masters division, or top 3 in any age group will receive a handmade in the USA wooden award designed and made by our friends at Elevation Culture, trust us, it’s worth it to run fast to get one of these! There will be no awards in the 5K. The award ceremony will take place at approximately 6:15 p.m. If you miss the award ceremony and won an award, you can pick up your award after the event at New Balance Dayton. You know it! We’ve got live music on site and great food! Stick around afterwards and continue to make new friends and enjoy the groovy tunes! The race has partnered with Families of Addicts, a local charity working to empower those with addictions and giving support to their friends and family. 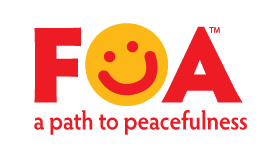 The Advanced Running Project will be presenting FOA with a portion of the race proceeds at the award ceremony.